Former MotoGP racer winner and WSB World Champion Ben Spies has announced his immediate retirement from racing, as the American struggles to overcome a number of injuries that have sidelined him for much of the 2013 season. Spies, winner of the 2009 WSB title as well as three AMA titles, damaged his shoulder initially while riding for Yamaha at the end of the 2012 season, and was forced to sit out the opening rounds of 2013 after testing at Sepang made it apparent the Texan was not at full fitness. However, in a horrible blow to the unlucky year old, he crashed heavily on his return to the Pramac Ducati squad at Indianapolis, damaging his other shoulder and ending his season. 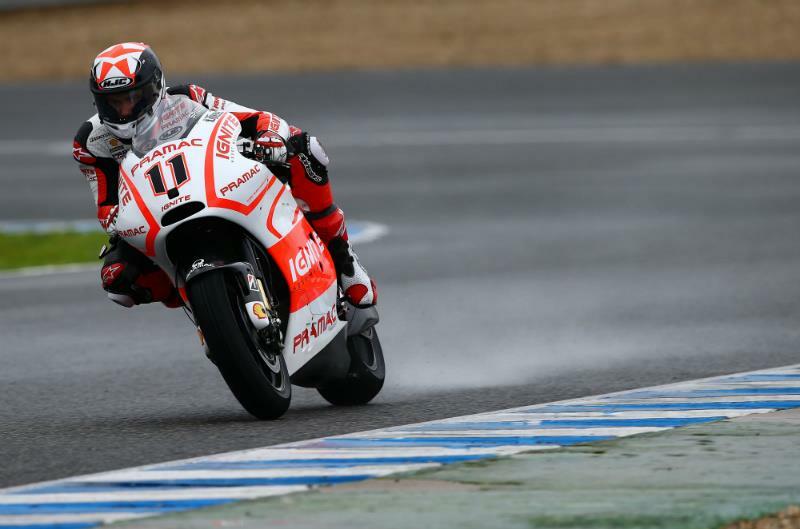 Despite riding for the Pramac satellite team, Spies' two year contract was with the manufacturer, and paddock speculation had predicted he would move back to WSB to replace the retiring Carlos Checa on the official team. Spies' retirement leaves a number of options open for other ideas now, with Eugene Laverty linked to his MotoGP ride and Chaz Davies supposedly in negotiations with the Italian manufacturer for its WSB spot. Ducati MotoGP Project Director Paolo Ciabatti added: "We had high expectations when Ben joined Ducati in MotoGP this year, and we really hoped that he would fully recover from his Indianapolis crash injuries and continue to race for us in the future. However we understand the reasons for his decision and respect them. It is really a shame for our sport that Ben will not be racing anymore, because in our opinion he is one of the most talented riders in the world. We will miss him and wish him all the best for his future life." Spies has a number of business interests to keep him busy in his retirement, running a successful burger restaurant in Austin, Texas frequented by many of the MotoGP paddock during the Circuit of the Americas round, as well as running a professional cycling team, his other great sporting love.